Unusual large striking vintage metal table lamp. 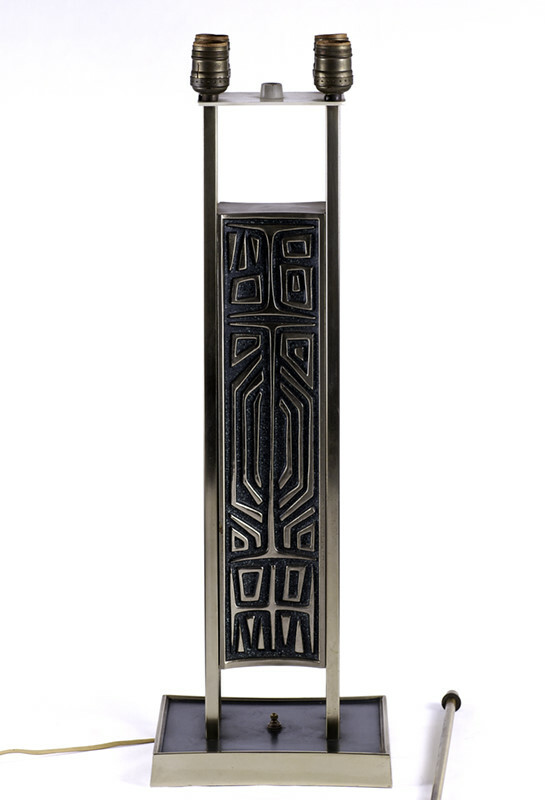 This lamp features a cast brass center piece with bold modern relief pattern suspended between four columns. There are four seperate bulb holders. The four way switch on the base can illuminate either two; the other two or all four bulbs simultaneously.